In the 1950s, the US Government decided there was nothing wrong in letting Grey aliens abduct a few humans, if the price was right. Turns out you can’t win a deal with the devil. One of the first projects to deal with this situation was Project SIGMA, a joint operation established in 1952 by the NSA/CIA consortium. Ufologists refer to this venture using many monikers, including the TAU IX Treaty for the Preservation of Mankind (as Dr. Dan Burisch calls it), the Greada Treaty or the Edwards Agreement, named after the air force base where the monumental meeting reportedly took place. Its main objective was to pave the way for meaningful and productive communications between humans and aliens. Using technology we would now call rudimentary, Project Sigma scientists managed to pinpoint the relative location of a suspicious group of asteroids moving in an orderly fashion. Using the telecommunications equipment developed using the technology aboard the downed UFOs, a transmission was sent in their general direction. The reply did not take long and a meeting was scheduled. However, the message was also intercepted by another extraterrestrial presence that kept a close eye on our planet. A Nordic species known as The Blues contacted the humans and advised them not to enter any arrangements with the force that had moved from the outskirts of the solar system into an equatorial orbit around Earth. They warned us about the other alien species and the fact that they only serve themselves. The Blues refused to offer us any of their technology. Instead, the Blues offered to support us in our spiritual development but asked something in return: that mankind collectively dismantled their nuclear arsenal. As a young species, they said, we were not qualified to wield such power of our own making and even less capable to act responsibly if given alien military technology. We would only use it to bring destruction upon ourselves. They warned humanity about its path of self destruction and condemned the fact that we were killing each other, polluting the planet and wasting Earth’s natural resources. The committee met their demands with extreme suspicion and prejudice, believing that nuclear disarming was not in the best interest of the United States and that it would leave the world helpless in the face of an alien threat. Naturally, some power-hungry high-ranking official dismissed their offer and attention was focused on getting that sweet, sweet alien tech. The diplomatic relations endeavor came to fruition on April 25, 1954, when key figures within the US Government and emissaries of the species we would later call the Tall Greys broke bread for the first time at Edwards AFB in southern California. Other sources claim the meeting actually took place two months earlier at Holloman Air Force Base, six miles SW of Alamogordo, New Mexico. But we’re not here to argue logistics and locations. What really matters is the outcome of the deal struck with the grey aliens. The information exchange was done telepathically between representatives of both worlds. It is unclear what the aliens’ true motivation was but the reason they invoked was genetic in nature. The Greys revealed to their human counterparts that their DNA was of suffering extreme degradation. As a species, they were dying and were in desperate need of a solution to overcome the situation. They required complete and unrestricted access to the human genome in order to develop a stable method for human-grey hybridization and thus ensure their continued existence. 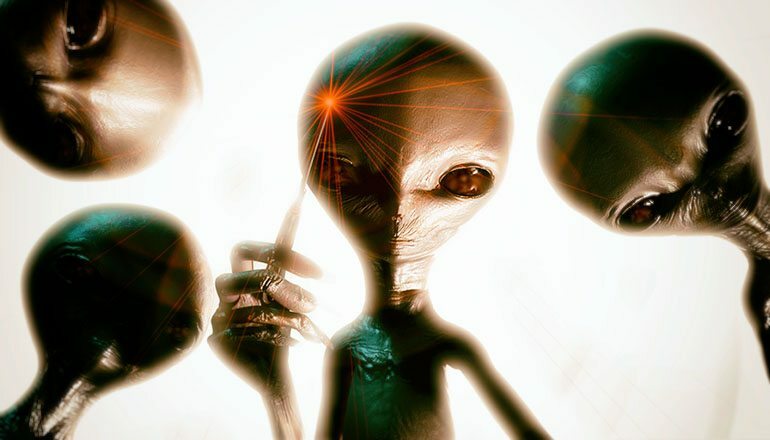 The Tall Greys claimed they wanted permission to abduct humans and perform genetic research without harming their ‘test subjects’. The humans, they promised, would be returned unscathed and with absolutely no memory of their ordeal. An agreement was reached following the discussions, one that would prove very lucrative for those involved. Unfortunately, the consequences would be disastrous for the rest of the world. 4The US would oversee the construction of several underground bases. The bases would be operated by both human and Grey personnel. Initially, old Atomic Energy Commission underground bases were converted into working stations. When the operation began to grow in size, newer and larger facilities were built. It is unclear how many of them were constructed, but reports suggest 26 became operational in the Southwest alone. 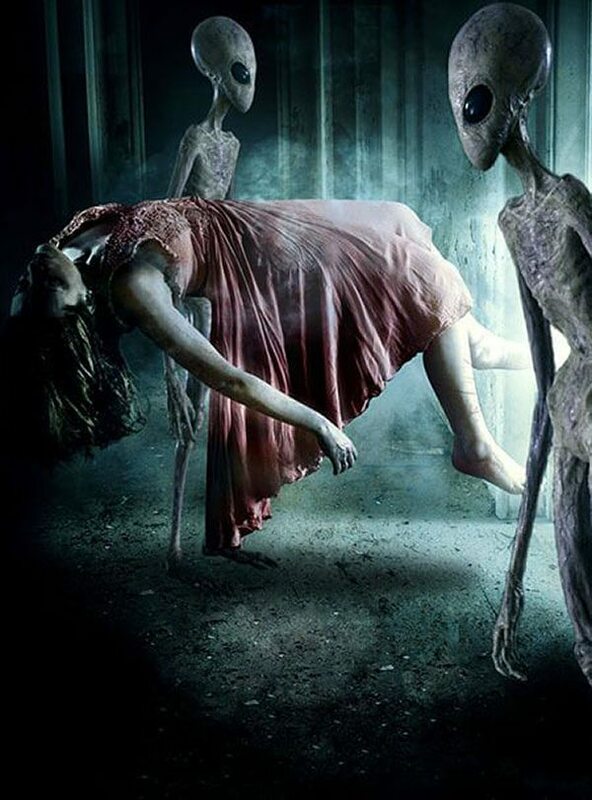 5The United States would allow the aliens to abduct a limited number of humans that were to be returned unharmed and with their memory wiped. 6The aliens would decide who gets abducted but the list would need approval from the National Security Council. 7The aliens would provide the US with advanced weaponry and assorted technology, gravitational and electromagnetic propulsion systems and mind control/alien implant technology. 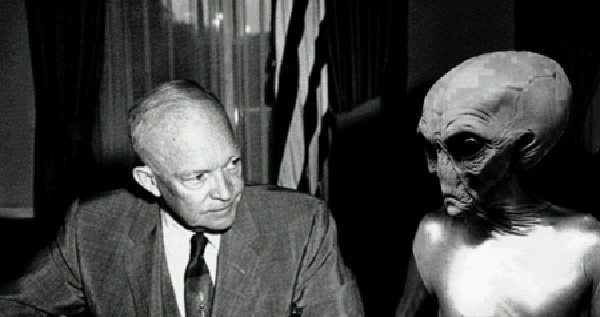 Conspiracy theorists claim the deal was witnessed and signed by President Dwight Eisenhower. Their claims are supported by the fact that, while vacationing near Palm Springs CA, the president inexplicably went missing on the night of February 21-22 1954. It is speculated he was secretly taken to nearby Edwards Air Force base for an encounter with the Grey aliens. His official statement was that he had to undergo an emergency dental treatment and had visited a local dentist. “My dear friends: I have just returned from Muroc [Edwards Air Force Base]. The report is true — devastatingly true! During my two days’ visit I saw five separate and distinct types of aircraft being studied and handled by our Air Force officials — with the assistance and permission of the Etherians! I have no words to express my reactions. It has finally happened. It is now a matter of history." Unfortunately for us, it wouldn’t be long until the deal’s favorable conditions became history and the Greys would start infringing the treaty. The number of abductions quickly exceeded the agreed quota and more often than not, the experiments they performed ended badly for the unwilling human participants. In the early 1960s, the US Government realized they had been duped and wanted to back out of the deal and kick the Greys off our planet, if possible. What they didn’t know was that the Tall Grey aliens had been around for quite some time and weren’t too keen on going anywhere. Today, the UFO phenomenon is higher than ever, with more and more people coming forward with their admissions. Collective hallucinations inspired by the media or the harsh consequences of a bad deal struck with some shady aliens? Let us know in the comments! Aliens do not abduct people. The government does. The next step is to convince the public that there is an alien threat so that they can triple their money (defense budget). Certain people made billions of dollars by blowing up the world trade centers and blaming it on terrorist. No race of beings would survive long enough to be a threat if they were violent. They would have destroyed themselves early on like we are close to doing now. Its not a question of whether or not we are being visited by ET beings. The question is how long the information will continue being suppressed. The problem is not if the public can handle the information, it’s the fact that if you admit they are here, the next question would be “how are they getting here”? That’s the 500 trillion dollar question. The technology they bring with them would mean the end of gas, oil, nuclear power plants etc… It would change the world and put a handful of very powerful people out of business. Good for the planet, not so good for them. However these people are the ones who control everything including who the president will be. We operate on an energy system that was developed a hundred years ago. We send men to the moon with technology developed in the 1940’s all because a few people don’t want to loose their power. I beg to digress with your opinion. The Sigma Project was carried out and there are hybrids amongst us. The problem is that they look more human than alien unless you break the code of the holographic information, until then they will still look human but are not. I believe you are ill informing people about the Star People. They created us eons ago and they have been looking after and monitoring our progress ever since. I believe we are made to think that these beings are evil and out to destroy humans, but why would they destroy something they created? 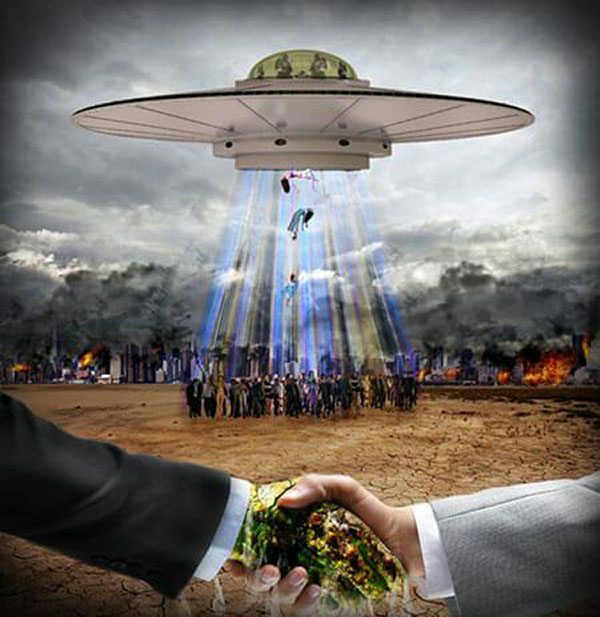 They have been i don’t call it abducting because anyone that is taken, i use the word taken lightly too, that they agreed to be part of this process before they we’re incarnated on Earth as we are in the next phase of the human evouloution. They wanted to help us but our government fucked them over as they do everything else on this planet. The people who believe these beings are evil will soon see that they mean no harm and only know how to love as that is the way of the universe. Stop spreading disinformation and educate yourself a bit more, i’d suggest reading Keepers Of The Garden to kick it off.